ARG Project Manager Amber Schroeder and Clinical Research Associate Corina Moorehead attended the CIS Annual Meeting in Atlanta April 4-7. Each of them made some interesting observations about the conference as a whole, and specific topics in the sessions they attended as well. Overall, they both saw a strong international presence at the conference, having met individuals from a diverse set of countries, including Canada, Australia, Uganda, Korea, and Brazil. 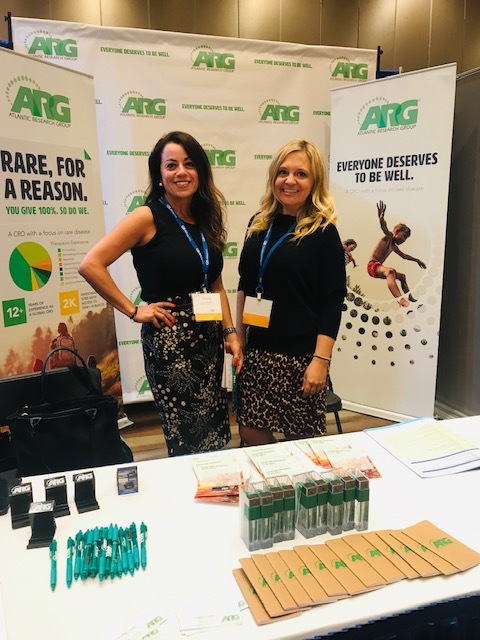 The ARG message of “Everyone Deserves To Be Well” certainly resonated with them, as they stopped at the ARG booth to talk about their focus on bringing much-needed products and clinical trials to their countries. Please learn more about Amber and Corina here and more about ARG’s commitment to immunology here.